Rainbow Scientific, Inc. (RSI) is pleased to offer advanced research products for human mesenchymal stem cell (hMSC) and human embryonic stem cell (hESC) culture from Biological Industries (BI). These chemically defined, non-animal origin culture media have been thoroughly validated to provide superior growth and maintenance of hMSC and hESC cell lines. Extensive quality control ensures reliable performance, lot-to-lot. These systems eliminate contagious health risks from viral agents, mycoplasma and prions and are accepted for clinical applications. "Rainbow Scientific is excited to be working with Biological Industries, a cell culture media developer and manufacturer with over 30 years’ experience and a worldwide presence. 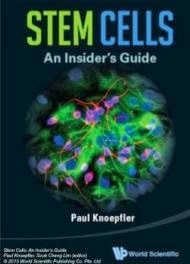 Their stem cell culture systems exhibit outstanding performance characteristics. They pair nicely with RSI’s other cell culture offerings and strengthen our offering to the biopharmaceutical market." said Peter Mousseau, President of the company.